The Bosch RH228VC 1-1/8 in. SDS-Plus Bulldog Rotary Hammer is equipped with an 8 Amp motor, providing the user with the maximum power needed to get the job done fast. With 2.4 ft-lbs. 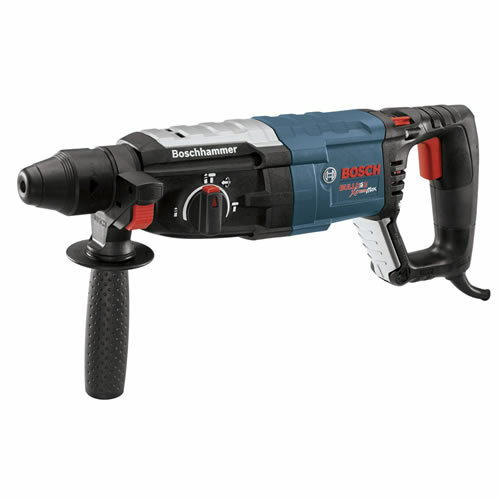 of impact energy: 20% better than the competition, the Bosch Bulldog Rotary Hammer allows for best in class drilling and chiseling performance. The newly designed counter-balance vibration control allows for improved comfort for all day drilling/chiseling applications. Max. Capacity - Concrete: 1-1/8 in.